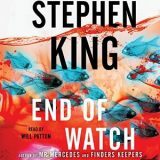 End of Watch by Stephen King is the final book in the Bill Hodges trilogy and it was brilliant. I love King’s work from his classic horror to his twisted tales of supernatural suspense. The Bill Hodges series was the perfect blend of both. I continued listening to audio with End of Watch. 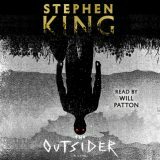 Will Patton once again narrated, and I love listening to him. Suspenseful and twisted End of Watch had me holding my breath, shivering and wiping tears from eyes. 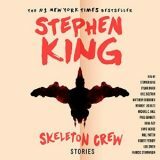 I am a die-hard Stephen King fan and have been since I was a teenager. I love his quirky characters, vivid imagination and his ability to pull me into the story. 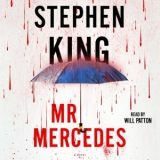 Recently I have been enjoying audio books and snagged Mr. Mercedes on audio when I saw the narrator was Will Patton. 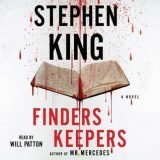 Mr. Mercedes was brilliant mystery crime thriller with an eclectic cast of characters who intrigued me as much as solving the case. I laughed, cringed and gave myself over to the audio.